The Black Panther Party for Self Defense was founded 50 years ago this October. 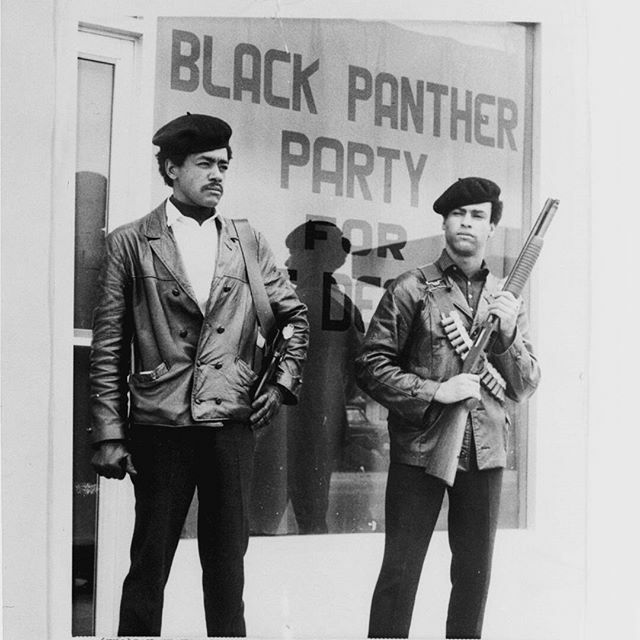 The Black Panther Party for Self Defense was founded 50 years ago this October. Their first order of business was to initiate ARMED patrols in the African American community of Oakland, California in an effort to protect US CITIZENS from brutality and excessive force by THE POLICE. 20 years ago today Rodney King was beaten by LA police officers after a high speed chase. The attack was videotaped by a resident in a nearby apartment complex, and later aired around the world. We all witnessed the brutality inflicted by men who were trusted to protect and serve. Over a year later those police officers were acquitted, and that miscarriage of justice sparked one of the worst race riots in US history. The burning and looting was televised as well. We all watched as black people beat a white truck driver, and entire neighborhoods went up in smoke at the hands of local residents. 2000 miles away in Nashville, Tennessee, my roommate, Steve and I tried to make sense of it all. Steve, who is white, could certainly understand the anger, but couldn’t fathom why these people were so enraged that they would destroy their own community. In those nights of frank discussion I found it difficult to explain the madness. It was hard for me to articulate to my white middle class friend the frustration and alienation that blacks in America felt at that time. With this verdict we saw proof that our lives were meaningless in the eyes of the US legal system. Here was evidence that a man had been beaten unjustly, but the perpetrators were found not guilty. A jury of the officer’s peers – not Rodney King’s peers, mind you – said it was okay. This was the America we lived in every day. Would I be next? There was no way to know. A few weeks later, I wrote this song. It was recorded in 1995 by my band Jack Johnson for our album Round One. In retrospect, I’m not sure I articulated the anger any better, but I believe the recording, and especially the one-take solo by guitarist Paul Cochrane, captures the frenzy and fury of those long dark days. Round One by Jack Johnson 20 years ago today Rodney King was beaten by LA police officers after a high speed chase. The attack was videotaped by a resident in a nearby apartment complex, and later aired around the world. We all witnessed the brutality inflicted by men who were trusted to protect and serve.